The WSOP announces many changes with hopes to improve both the player and fan experience. The 47th edition of the World Series of Poker (WSOP) kicks off a little more than a month away, on May 31, and the poker festival just announced a handful of changes with the goal to improve both the player and fan experience. Early last summer, many of the 2,241 players that cashed in the huge field of 22,374 entrants in The Colossus were unable to get promptly paid, with many waiting hours in line for the cashier cage due a combination of sheer volume and technical issues. Many players this year expected the problem to get worse and not better with the WSOP now paying out 15 percent of the field or 50-percent more than the 10 percent that made the money in previous years. While players may still have to wait for the payouts in some of the bigger events, the poker festival announced it will be introducing an eQueue Payout Process, whereby players will be able to join the payout list assuming they have the necessary payout information already on file. Once on the list, players can depart from the cashier area and wait for a text message with a time their payout will be ready. WSOP promises that payouts at this point will be processed within minutes. Assuming there are no technical glitches in this process, it should be a vast improvement for players as they can do other things, including play poker, instead of waiting for hours in line for their payout. WSOP Announces Chip Count Tool "Chipin"
The WSOP is adding a new feature to its live reporting process with "Chipin." If you recall the MyStack app from the recent years that PokerNews provided the WSOP coverage, this will be similar and allow players to update their counts themselves while playing an event. Once updated, chip counts for that player will automatically be updated on the WSOP.com site, syncing with the reporting system. Many experienced poker players and fans during the past few years have relied on PocketFives Community Manager Kevin "Kevmath" Mathers to answer their questions and provide crucial updates throughout the Series. Mathers has consistently done a great job fielding questions and responding to numerous other requests via social media by the minute, and this year he will be in charge of the @WSOP and @WSOPcom Twitter accounts, which many recreational players will also be able to benefit from his social media presence. Additionally, Mathers will assist with the @WSOPTD and @WSOPChipIn Twitter accounts. Headphones have long been disallowed to be worn in a WSOP tournament once the money has been reached, creating a bit of a stir year in and year out amongst the playing community. Many players have voiced complaints over the years with the outdatedness of the rule, but without approval from gaming, the WSOP's hands were tied. Enter 2016. WSOP announced that for the first time headphones will now be allowed all the way until players reach the final table. This is a large expansion of their use considering in the past players were required to remove them once they reached past the money bubble. As part of the announcement of the expanded use of headphones, WSOP also warned players that choosing to wear them doesn't exempt them from any rules, including paying attention to verbal commands from dealers, floor staff, and opponents. While it'll be fine to continue to listen to Ace of Base when stacking your chips in the money, it's important that all still pay attention at the table. 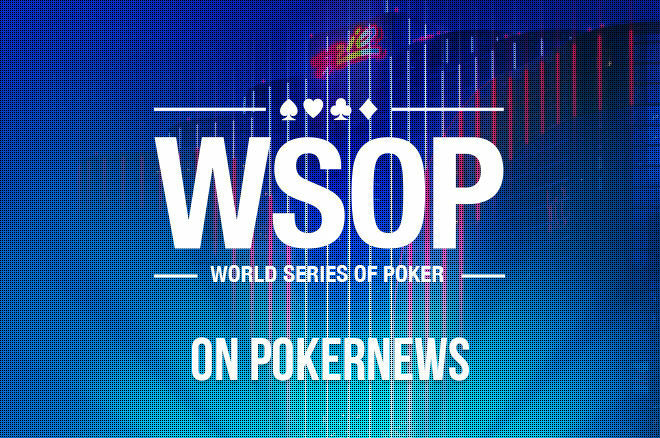 The Live at the WSOP will be streaming WSOP action again this year, however, a few changes were announced. David Tuchman will still be the lead commentator and will once again be assisted by poker presenter Tatjana Pasalic. WSOP announced that Pasalic's role will be expanded this year to include more on-air time, while also being responsible for lining up players to join Tuchman in the booth during final table play. Additionally, the stream will focus on just one final table per day, instead of covering multiple final tables like last year. This doesn't mean that viewers won't get a glimpse into other action taking place on a particular day since the stream will pop in on other final tables in action in addition to scanning the Amazon Room for notable activity and opportunities for interviews. One notable change which viewers should enjoy is that the stream will also show highlights from the previous day's final tables. Live coverage begins on June 3 on a 30-minute delay for hold'em and Omaha where hole cards will be displayed and on a five minute delay for other games with no hole cards exposed. Online poker is regulated in Nevada, with WSOP.com NV being the premier, and arguably only, destination for poker players. Players do not need to live in Nevada, but just be in the borders of the state in order to play online at WSOP.com NV. From May 25 to July 10, WSOP.com NV scheduled over 500 tournaments with over $2 million in guaranteed prize pools for players to enjoy. Players will also have the opportunity to win a seat to the following day's WSOP gold bracelet event for pennies on the dollar in the plethora of satellites hosted by the online poker room. Additionally, WSOP.com NV will once again be hosting the Online Championships with 93 action-packed events from June 10 to July 10, featuring more than combined $700,000 in guaranteed prize pools. For the second straight year, the WSOP schedule will be hosting an online event where players can win a gold bracelet with Event #66: $1,000 WSOP.com Online No-Limit Hold'em taking place on July 8 at 1 p.m.. The online event is deep-stacked with players receiving 15,000 opening chips along with long 20-minute blind levels. Players will also be able to reenter during the late-registration period which is scheduled to end at 4:25 p.m.
Last year, Anthony "casedismised" Spinella shipped his first WSOP gold bracelet by winning the event along with the top prize of $197,743.